Tom Clancy's Splinter Cell: Double Agent is the fourth installment in the Splinter Cell series of video games developed and published by Ubisoft. The series, endorsed by American author Tom Clancy, follows the character Sam Fisher, an agent employed by a black-ops division of the National Security Agency, dubbed Third Echelon. 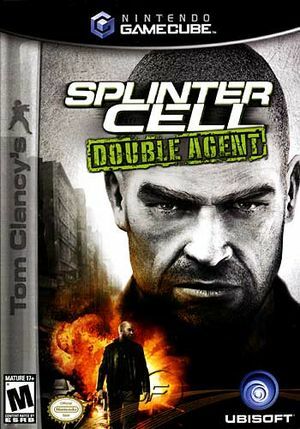 Double agent was released simultaneously on the GameCube and on the Wii. For some reason, in order for textures to draw correctly, this game requires Full MMU enabled. While this option is defaulted, it comes at the hefty price of performance. This page was last edited on 14 January 2018, at 20:01.